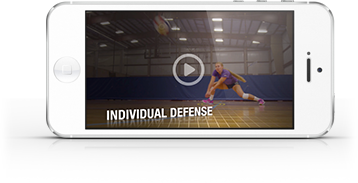 Teach ball control and transition with “9-person pepper.” In this fast-paced drill, the front row attacks on both sides of the net, remaining in “transition and hit” mode until they’ve completed 10 successful returns. The digger must place the ball high to center court so the setter can get to the ball. The setter must chase down the ball and deliver it to the hitter. The hitter must get off the net and into attacking position quickly. According to Doane University coach Gwen Egbert, this drill is effective because it’s an accelerated and extended version of what players go through in a game.